As regular readers will know, I am a little bit obsessed with sleep. The quality of my last night’s sleep completely determines my mood, my energy and my productivity the following day. Are you the same? I’ve spent a lot of time researching what makes the perfect night’s sleep. I’ve looked at factors such as the best time to go to bed, sleep-inducing foods, perfect room temperature, when to exercise…and more. Bearing all this is mind, it’s funny that it’s only in recent months that I’ve turned my focus to our bed. In my youth (ha!) it really didn’t bother me where I slept. When I think about the really horrific mattress I inherited at university, it makes me shudder. How on earth did I put up with it? But put up with it I did (after much spraying with mattress cleaner). Even when I moved in with my (now) husband we did, of course, buy a new bed but I still wasn’t overly fussed about how it looked or what the mattress was made of. My new obsession with our bed comes down to the fact that I’ve now reached an age (old?) where I’m actually interested in furniture. The quality, how comfortable it is, and how it looks in our home. My search for a great mattress was spurred on by the fact that I suffer from a bad lower back that flares up every now and then. I was hopeful that there was a mattress that could help to ease the pain I often felt during the night. I knew I wanted memory foam but there are so many mattresses on the market at the moment and the choice is quite overwhelming. Simba was firmly on my radar, probably from their memorable ads, strong branding, and the fact they offer a mattress in a box. Like, how does that even happen?! My Mum is extremely particular about her sleeping environment, and when she bought a Simba Mattress and raved about it, I knew I had to give it a go. We decided to head out and actually try a Simba Mattress in a shop before purchasing. We took Ethan with us and we were pretty sure he was going to be completely bored out of his mind. However, it turns out that a bed shop is apparently A LOT of fun for a five-year-old. He must have tried every single mattress they had on display (even ones that retail at several thousands of pounds – sorry shop!) before finally declaring the Simba as his favourite (true story). Fast forward to now, and it’s like Simba threw up in our bedroom (a Joey and the Porsche reference for fellow Friends fans). Not only do we have the Simba Hybrid Mattress, but we also have the Simba Hybrid Duvet with Outlast, Simba Hybrid Pillows with Outlast, and the Simba Bed with Headboard. Our five-year-old son, Ethan, also has his very own Simba Hybrid Mattress on his single bed, which he absolutely loves. To be completely transparent, we bought all of the items above ourselves, except for the Hybrid Duvet with Outlast and Ethan’s single Hybrid Mattress. The lovely people at Simba were kind enough to gift these two items to Mums Off Duty to include in our review. Simba offer a 100-night free trial, where you’re offered a full refund if you don’t get on with the mattress. However, I would highly recommend visiting a Simba stockist (like John Lewis or Furniture Village) and trying out the mattress first. Mattresses are such a personal thing and I can only share my opinion here. If you’re thinking about changing up your bed and/or bedding, please do read on and hopefully it will help you to decide whether Simba is the right choice for you. 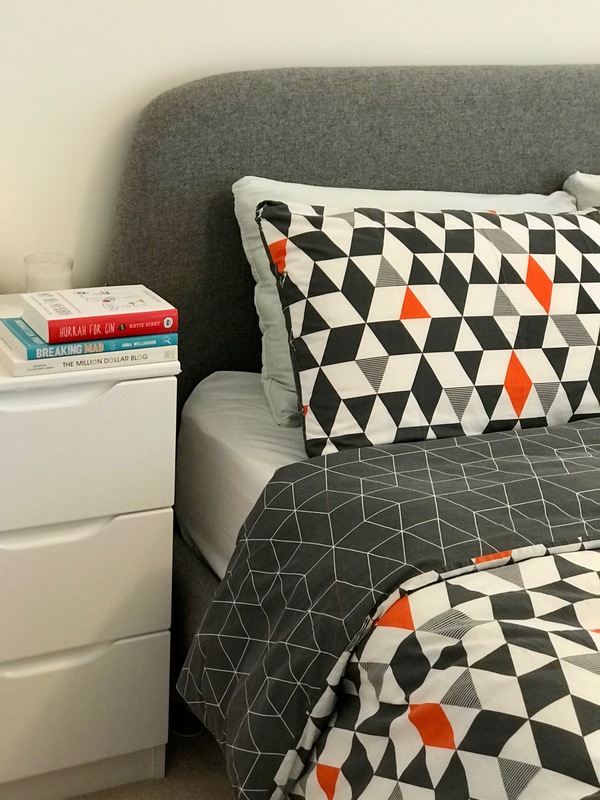 In this post, we’ll be sharing our thoughts on the Simba Hybrid Mattress, Simba Hybrid Duvet with Outlast, Simba Hybrid Pillow with Outlast, and the Simba Bed with Headboard. If you do decide to buy a Simba Mattress, we have a fab gift for you! Use this special Mums Off Duty link to get £100 off your purchase. Happy days! Okay, so I’m going to start with the main event. The Simba Hybrid Mattress. What is the Simba Hybrid Mattress? A quick run-down of the facts. The Simba Hybrid Mattress is a memory foam and conical pocket springs mattress, designed and manufactured in the UK. It contains five different layers designed to give you the perfect night’s sleep – the memory foam top is soft and supple, while the 2,500 conical pocket springs underneath provide support. Prices start from £429 for a Small Single – minus £100 of course using our special Mums Off Duty discount. Simba offers free delivery using Silver X Logistics, and free removal of your old mattress (very handy if you don’t happen to own a massive lorry). The mattress arrives in its statement blue and white box, and the friendly delivery people (well, ours were anyway!) will take it to the right room for you, ready for you to unbox. Please take them up on this offer, the box is Very Heavy. I would recommend having a second person around to help you remove all the packaging. You get a nifty little cutter tool which really helps, but you do need someone to help lift the mattress while you remove the plastic cover. The great news is, you don’t need to turn this type of mattress, just rotate it occasionally. So once it’s down, it can stay put. Once you’ve taken the mattress out of the box, it will miraculously expand into a full-size mattress before your very eyes. Let it rest for a few hours before sleeping on it if you can. It might have a slight smell initially too, but that fades after a couple of days. When I first lay on the Simba Mattress, I loved it. It’s a very different feeling from a traditional pocket-sprung mattress. The top feels very soft and kind of moulds to your body in a very supportive way – it’s a little difficult to explain! I’ve never slept on memory foam before but now that I have, I wouldn’t go back to a traditional mattress. When I used to lay flat on my back on our old mattress, my back would ache. But I can now lay on my back without pain on the Simba. I feel as though it is supporting me along the whole length of my body. It’s important to us that Ethan has a good quality mattress. He’s only five, and his sleep is so important in his development. I’m really happy that he has a super comfortable mattress, providing crucial support for his growing body, and giving him a good night’s sleep. Ethan was extremely excited to receive his own Simba Mattress, and has slept really well on it from the very first night. It’s deeper than his old mattress and much more supportive. A big thumbs up! Ethan tends to get extremely hot during the night. He only sleeps in underwear and rarely has a duvet over him. He has always complained that his bed is too hot and that our bed is much cooler. Now I understand why! The Simba Mattress is temperature-regulating and can help to keep our bodies cooler when it’s hot. So before Ethan got his own Simba mattress, our bed was actually cooler than his and a more comfortable temperature for him to lay on, especially as we had a hot summer. Luckily, now that he feels cooler, he’s happy to lay on his own bed. Just one last word on the mattress – it looks very smart. It’s such a shame you have to cover it with a sheet. This is a 10.5 tog all-season duvet with 300 thread-count cotton. The filling is 90% down and 10% feathers. The duvet also contains Outlast, a ‘phase change’ material. This means it actively responds according to the temperature outside. You should be kept at the perfect heat. It also has a Certified Space Technology seal of approval! One side is cotton, and the other is Outlast. You can tell immediately which is the Outlast side as it has a totally different feeling from cotton but Simba colour code them for you too – a blue piped line for Outlast and a grey piped line for cotton. The double-piping allows air to flow through your duvet too. The duvet costs from £195 for a single. The duvet is a lovely weight – not too light, not too heavy. It’s soft, feels expensive, and it has pockets sewn into it to keep the filling evenly distributed, which is a nice detail. It means you shouldn’t have to shake it out so much. I have to admit that we were a little apprehensive about the duvet as my husband has previously been allergic to feather and down duvets. We have always bought microfibre duvets as a precaution. We went to the bed the first night worried that Tom would wake up sneezing and with streaming eyes. But nothing! No reaction whatsoever. We had a great night’s sleep. We’ve only had this duvet on our bed for a couple of months, but we are so pleased with it. It’s a comfortable weight, it feels luxurious, and it keeps us at a good temperature throughout the night. We do keep the same duvet on all year (though we tend to lay on top of it during the heat of the summer) so it’s important to us that it is truly temperature-regulating. One side of the pillow is made from Outlast material with duck down, while the other side is 300 thread jacquard cotton with microfibre. There is a ventilation strip down the side which allows air to circulate. The pillow is filled with nanotubes made from memory foam to provide the right support for you. These can be removed as needed, to provide you with the perfect pillow height. You can also wash the outer cover at 40 degrees. The Simba Hybrid Pillow with Outlast costs £95. I have always struggled with pillows. They never seem to last and always end up losing their shape and no longer supporting my neck. Even though the Simba Hybrid Pillow is more expensive than an average pillow, I really wanted to give it a go. I love this pillow. It seems a little odd initially, having a pillow where you can remove some of the filling, but what a brilliant idea. You really can create the perfect pillow for yourself. You even get a little bag to keep your spare nanotubes in. Cute! Hubby was a little worried about the down filling being so close to his face, yet his allergies have not flared up at all. The memory foam feels really supportive around my head and neck. It really moulds in to my shape. I used to wake up fairly regularly with a sore neck from lack of support from my pillow but this hasn’t happened yet with the Simba Hybrid Pillow. Only time will tell if the pillows maintain their shape and plumpness – I will report back in a few months and update you! I like that you can wash the outer cover. This will sound a bit yuk but I hate it when pillows turn yellow. Even though we always put two covers on our pillows, they do still discolour. The fact that I can wash them at 40 degrees means I can keep them looking fresh, which is fab. Yes, this pillow is quite expensive but what a pillow it is! Along with your mattress, your pillow will really affect the quality of your night’s sleep. This pillow is unique and I think it’s worth the investment. I have friends who have also bought this pillow and wouldn’t be without it. This is a grey, wool-blend upholstered bed with white oak legs. It’s a sleek, minimalist design which is designed to suit any bedroom. This bed arrives flat pack. Simba reckons it can be assembled in 20 minutes but it definitely took us longer than that! Having said that, it was much quicker and more straightforward to put together than Ikea beds that we’ve had in the past. One small part was missing from the set but Simba sent this out quickly and luckily it didn’t affect us sleeping on it. This bed looks gorgeous. I’m currently obsessed with grey, so this bed is perfect. I feel as though grey goes with so many colours, so if you buy this bed, you’re not limiting yourself in terms of colour scheme for your bedroom. I love the minimalist design. We live in a new-build house with white walls and minimalist decor, so this bed suits our style of house beautifully. We previously had a divan which while practical, did not look very stylish. The Simba Bed seems like really good quality and I hope it will last us many years. This Simba Bed has totally transformed the look of our bedroom. Our bedroom is only small and I was a little worried that the bed would look overpowering, but it’s not. It looks fantastic and our bedroom is now one of my favourite rooms in the house. So there you have it, our round-up of all things Simba! If you’re thinking about investing in any of these Simba items, I really hope you’ve found our review helpful. Your bed is so personal so take the time to do some research, and go and try out the mattress before you buy – but then come back here and use our special link to get your £100 off! Overall, I sleep better and my back feels more supported thanks to our new mattress. I love the innovative design of the pillows. The duvet feels luxurious, and the bed has transformed our bedroom into a stylish space. You spend a lot of time in bed. You should absolutely invest in a good quality mattress and bedding. Why should you skimp on it? It’s an investment in you. Especially as a mum – you deserve a good night’s sleep to prepare you for your busy day ahead. I’ve always loved going to bed, but now I genuinely really really look forward to it. Our bed, and bedroom, feels so much more luxurious and I haven’t yet got tired of snuggling down in our beautiful new bed for the night. If you decide to buy a Simba Hybrid Mattress, you can get £100 off your purchase using our special Mums Off Duty link. Happy snoozing! For more information on Simba products, please visit the Simba website. Disclaimer: The Simba Hybrid Mattress Single and the Simba Hybrid Duvet with Outlast Kingsize were gifted to Mums Off Duty for the purposes of review. My reviews are always completely honest. This post contains affiliate links. If you use our link to purchase a mattress, Mums Off Duty will receive a small commission from each sale. This is great! I need a new mattress in my guest room. Thanks for the detailed summary. Now I want to try Simba!!! Thanks for the discount link! Once you try it you’ll never go back! This looks like a really cool mattress! Oh WOW this looks incredible. I struggle to find a mattress and pillow that I like! I HAVE to check this out! You must! Both are fantastic. I love that you can adjust the height of the pillow. I was looking into getting the purple bed, which also is shipped to your house in a box. I’m glad to see a comparable mattress with real life reviews. Thank you. There are quite a few now that come in a box. We’re so happy with our Simba! I’m pleased the review is helpful. I am intrigued by the pillow that you can adjust to your preference. I am still yet to find a good pillow to support my neck and also feel comfortable during the night. I always end up with my head off the pillows in the morning. I might give this one a try. This is the most supportive pillow I’ve found, and it keeps it’s shape too. I love that you can adjust the height. If you try it, please let us know how you get on with it. They have your whole bed covered! I’m glad the review is helpful. I’ve heard such good things about Simba mattresses and I love that they offer an 100 day free trial! It really sounds like the mattress is perfect for you. I think its great that you also bought the bed with headboard and pillow too! Yes the trial is a great idea. Although I don’t expect many return the mattress! Thanks for reading. I have never heard of Simba mattress before but that mattress sounds really helpful for me and looks really comfortable. I’ve never heard of this brand before, but it sounds like something I would use regularly . I’ll definitely have to check it out now. Thanks so much for the review! i’m in the market for a new bed. this is perfect timing! i’ll keep it in mind! That’s great! Hope it helps! Now this is how you upgrade! I would love to copy this whole layout. Oh no what a shame! Yes maybe wool would be better for you! I love the headboard – it’s really simple but stylish. Thanks for reading! Ooh yes you definitely need a new bed and mattress! Simba has really helped with my back pain, it’s definitely worth trying to see if it could help with yours. Omg your Uncle’s story – I love it! And I will always love Kylie! Thanks so much for reading. I didn’t know they made a mattress that was both memory foam and springs. This looks like it would offer an amazing night sleep. The hybrid is a great idea as it’s so supportive. I’m sleeping so well on it. My girls could really use a room make over. A new bed would be nice too. A new bed really transforms the whole room! I like the Simba Hybrid Mattress a lot. I would also love the duvet cover and the pillow. Simba has very nice, comfortable and amazing products. They are really good quality products. Thank you for reading! I’ve heard a lot about of Simba recently. I need to shop around for a good mattress and this one sounds like one to check out. I’ve never heard of Simba before until now. Sounds like a really good mattress. This mattress looks absolutely amazing and I love that it comes packaged so neatly! I need a new one and I will have to look into this one!